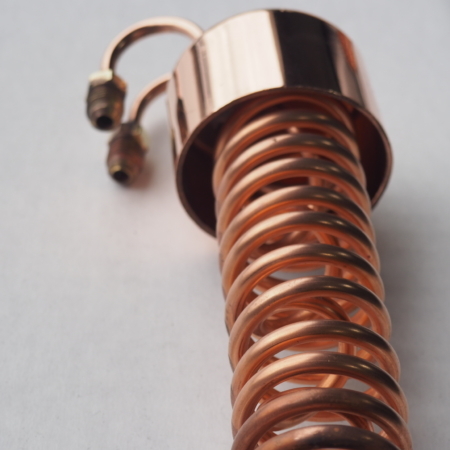 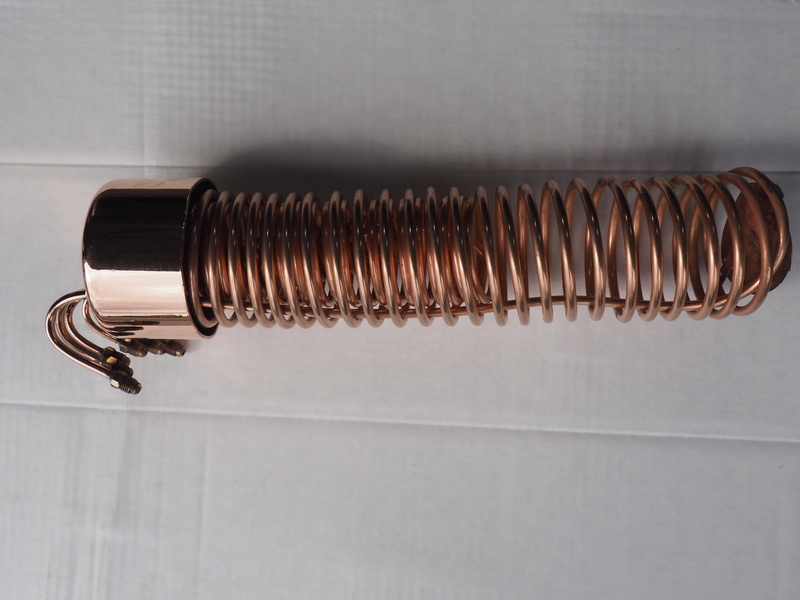 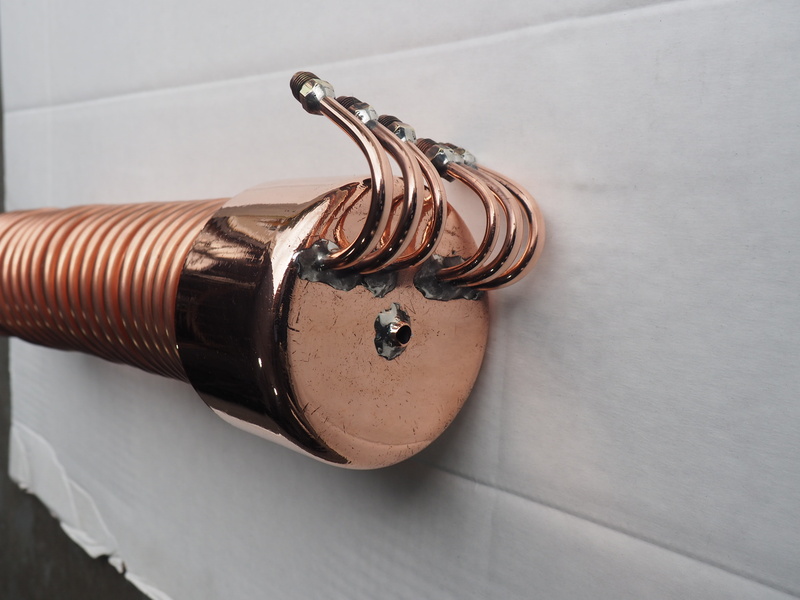 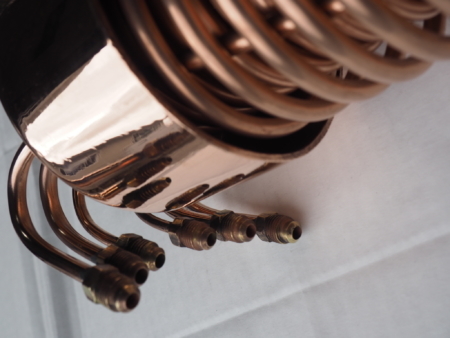 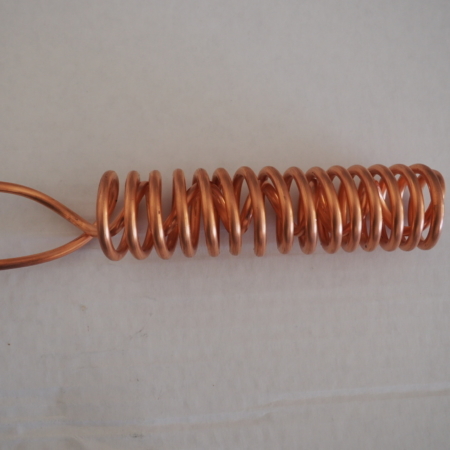 This four inch copper coil is made up of three different coils. 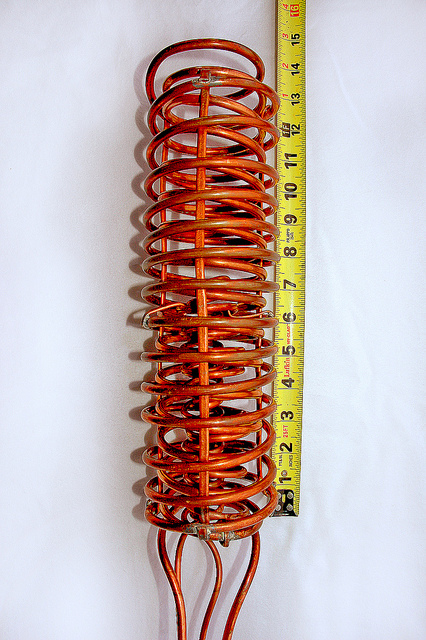 The outside one is made with 1/4in copper tube coiled to fit inside of a 4 in copper tower. 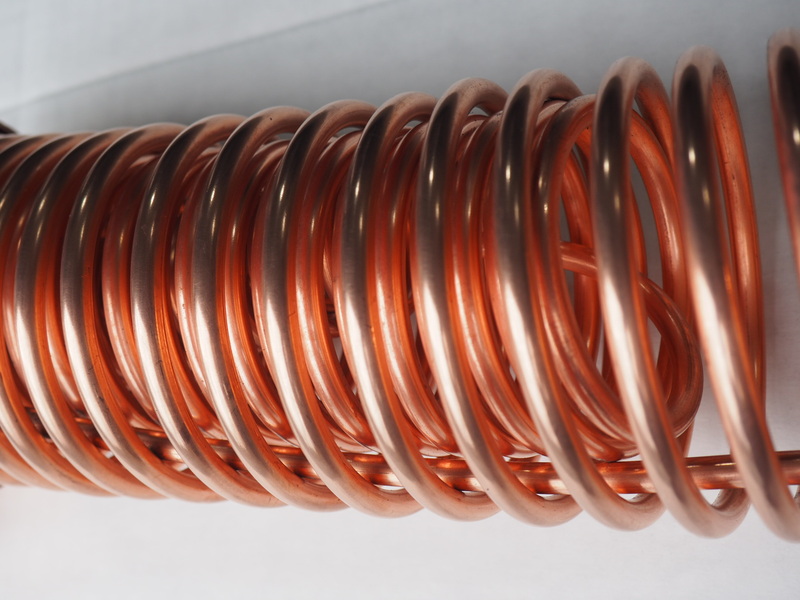 The middle is our three inch coil also made of ¼ in, and the inner coil is made of 3/16 in tube coiled in a double helix for maximum surface area. 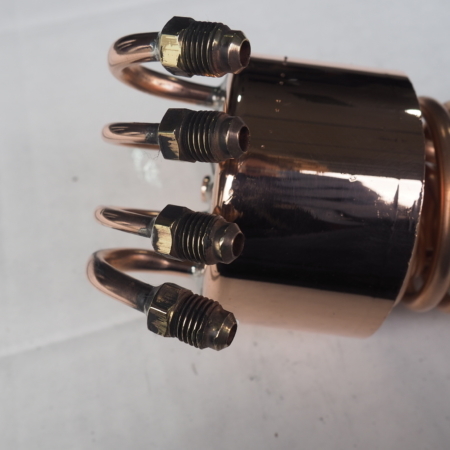 These coils are soldered into a 4 in cap with quarter inch brass compression fittings soldered onto the ends.